EWG scientists reviewed Lip Smacker Coca-Cola Liquid Lip Smacker (old formulation) for safety according to the methodology outlined in our Skin Deep Cosmetics Database. We assess the ingredients listed on the labels of personal care products based on data in toxicity and regulatory databases, government and health agency assessments and the open scientific literature. 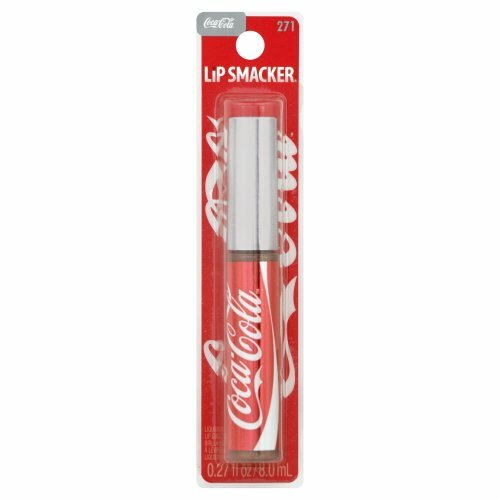 EWG's rating for Lip Smacker Coca-Cola Liquid Lip Smacker (old formulation) is 5. Mineral Oil (Paraffinum Liquidum), Caprylic/Capric Triglyceride, Ethylene/Propylene/Styrene Copolymer, Di-PPG-3-Myristyl Ether Adipate, Isopropyl Myristate, Flavor/Aroma, Butylene/Ethylene/Styrene Copolymer, Aloe Barbadensis Leaf Extract, Cocos Nucifera (Coconut) Oil, Lauryl Laurate, Phenoxyethanol, Isopropylparaben, Isobutylparaben, Butylparaben, Neotame, Limonene, Benzyl Alcohol, Benzyl Benzoate, Cinnamal, Anise Alcohol, Amyl Cinnamal, Methyl 2-Octynoate, Linalool, Citral, Alpha-Isomethyl Ionone, Geraniol, Eugenol, Citronellol, Isoeugenol, Coumarin, Butylphenyl Methylpropional.